So your dog is urinating blood, whining and trying to pee on every bush in your front yard. Oh well, it’s probably a UTI or he is just having a bad day and you hope it all just goes away. Well, lots of times, if it is just a UTI, it will go away. However, many times these problems don’t go away because dogs with these symptoms commonly have bladder stones. This article discusses how to prevent the recurrence of calcium oxalate bladder stones in dogs. Bladder stones in dogs are complicated as there are many different types that develop for many different reasons. For more questions and the latest research on the different types of stones and treatment, check out the Minnesota Urolith Center. This is the lab where I send stones for analysis. So fast forward and say we have a diagnosis of stones and the stones have been surgically removed. Now, not all stones have to be removed surgically, but for the sake of this article, lets pretend they are. After removal, these stones should be sent to the Minnesota Urolith Center for identification. This is mandatory! If you don’t know the type of stone, then you don’t know how to prevent the recurrence. Fast forward again and lets pretend we have a diagnosis and identification of the type of stone and it is a Calcium Oxalate bladder stone. Calcium oxalate bladder stones in dogs are unfortunately very common. We see them frequently in dogs of all ages, breeds and sizes; however, the typical patient is frequently a small breed dog (Shih Tzus, Toy Poodles, Schnauzers and Yorkies) somewhere around the age of five with a male-to-female ratio of 3:1. There are multiple Western Medicines that can be used and I will tell you only what I initially recommend . 3. PSGAG injection- If dogs concurrently have arthritis, I recommend this therapy. Why? There is some belief that PSGAG prohibits minerals from sticking to the bladder wall. I also recommend one or the other. I recommend all of these. Increase water consumption! This is vitally important. I don’t know the best way to increase water consumption but I can offer you some ideas such as always have clean, fresh distilled water available, setting out multiple water bowls and adding water flavoring agents. You will have to experiment with flavoring agents but some dogs like tuna, beef and or peppermint flavoring. Adding salt to the diet is controversial and I would not recommend. Dietary change! There are two ways to do this! You can either feed a prescription veterinary diet for CaOx uroliths, feed a specialty pet food, or feed a home-prepared diet. If you feed a homemade diet, I advise having a veterinarian develop the diet. Pulling a diet off the internet is not advisable! Keep dietary oxalates low! 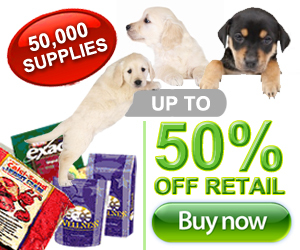 Most specialty pet foods are low in oxalates and a suitable diet for dogs with CaOx uroliths. Do not feed a kibble based dry food diet. My belief is that kibble based diets keep dogs slightly dehydrated (1-2%) and this leads to concentrated urine and thus concentrated urinary minerals. Feed canned food especially to a small dog. If you must feed kibble, add water to the food and heat it before serving.